Thread: Patch Notes XXIX | New Pet, Vote Tickets & MORE! - Now Black Ibis top, bottom, boots & gloves will give a 2.5% XP Boost per item, for a total of a 10% XP Boost with the set. 2. The Fishing Outfit has received the same treatment. Had the same issue, which has been resolved the same way as above. 3. 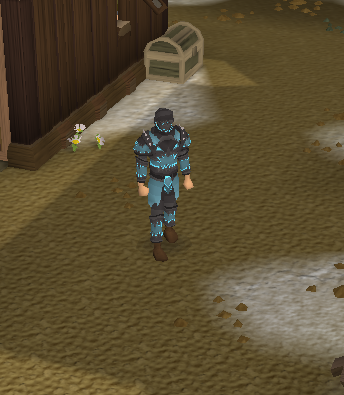 Dungeoneering NPC will now only repair Chaotics; no longer any Barrow or Nex items. 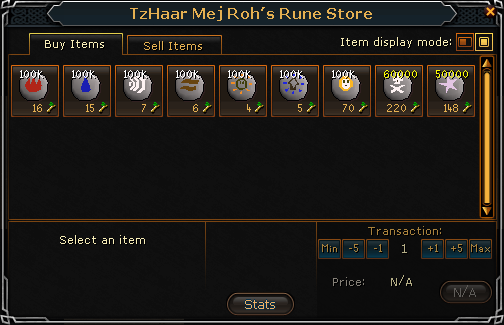 - These items (Barrows, Nex gear) must be repaired at Bob at home in the Fishing Shop. 4. God Bows will now work with normal arrows! 5. Enchanting Bolts now added to chat filter. 6. Hunting Snowy Knights & Black Warlocks now added to chat filter. 7. The bonfire dialogue has been limited. 8. Cannons can no longer be placed at Queen Black Dragon. For quite some time, player's (Donators) have been reporting that the Antifire Donor Perk is not functioning properly at QBD. We would like to reiterate that the Antifire Donor Perk, is only the regular Antifire; not Super Antifire. "The Queen Black Dragon has a dragon breath that even super antifires with a dragonfire shield/anti-dragon shield cannot fully block. This attack is reduced to the low 400s with full antifire protection, and 800's with standard protection. There is a ten second cooldown on this attack, preventing the player from being inflicted with continuous typeless damage. 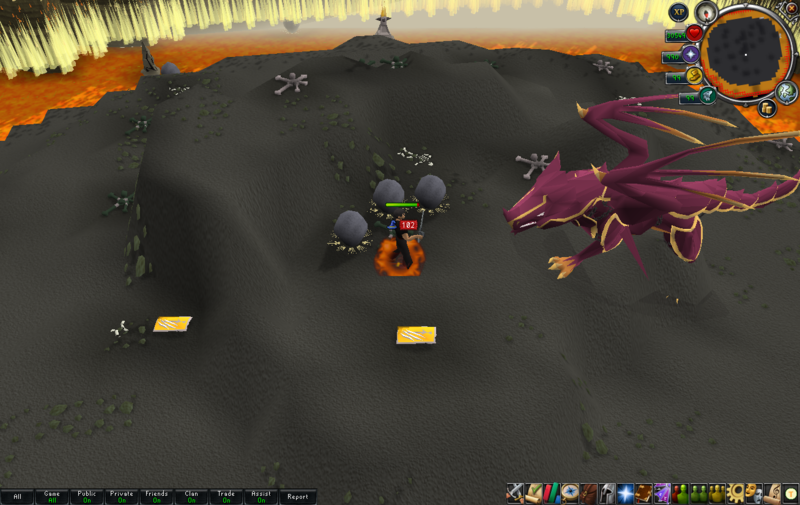 This attack will hit over 1500 without any dragonfire protection." 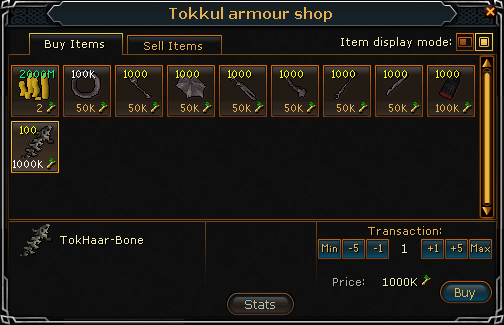 New Shops have been added to spend Tokkul in! We've added three new Shops that accept Tokkul! An Armor Shop, Ore & Gem shop and a Rune Shop! These shops & the items therein, will be expanded over time. At the moment as it stands, it is a sort of beta test. 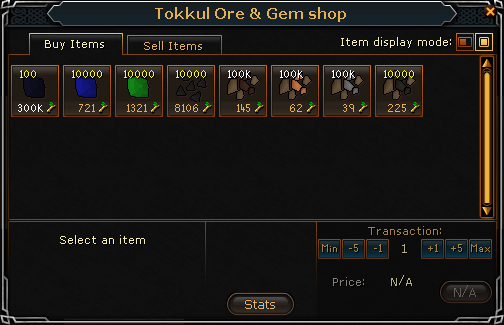 We are testing to see how obtainable these items are via Tokkul, etc. We are extremely excited to bring you new tradable Vote Tickets! The introducing of this tickets have replaced our previous "Points" system. For every vote you place, you now receive 1 Vote Ticket in place of 1 Point. 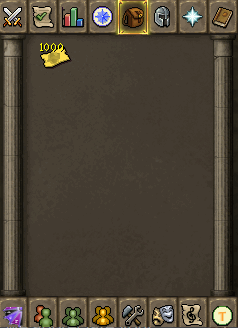 With these tickets, you can "Claim" 1 for 10 minutes of 50% Bonus XP Boost. You can also use these points to purchase items from the Vote Shop. Claim, trade, or spend - these new tickets offer a new incentive to vote for your favorite RSPS! New Pet obtainable by Voting! Now available for 400 Vote Tickets, you can run around showing your support for the greatest; Ely! Our favorite Boss, created by Splash, now has a new home! Big thanks to Luke for creating a new & very fitting home for our beloved Graetoriax the Unbroken! Last but not least; the NEW Exclusive's Shop! We created a new Shop in our Donor Store with items that are limited in quantity! of this shop brings in the "Demonstrand" Armor set. to give the cosmetic override but adds the stats from that armor to it! Plus, flex your status if you wish. Thank you, we hope you enjoy this update. If you experience any bugs, please continue to report them! Vote tickets hmmm. HELL YEAH.